One of the best parts of having a party is the various bottles that get left behind by your guests. I once found a whole bottle of mead in the back of my fridge months after my last party. It was like I’d been visited by the booze fairy. But sometimes the booze fairy is not so generous and she leaves you with a half full case of Bud light. That is not necessarily a problem, my favorite kind of beer is free, but there is a whole world of tasty drinks out there and it seems a shame to waste valuable drinking opportunities working your way through 8 cans of bland beer. Luckily there is a way for you to turn your liquid bread into actual bread that is quick, cheap, easy, and tasty. 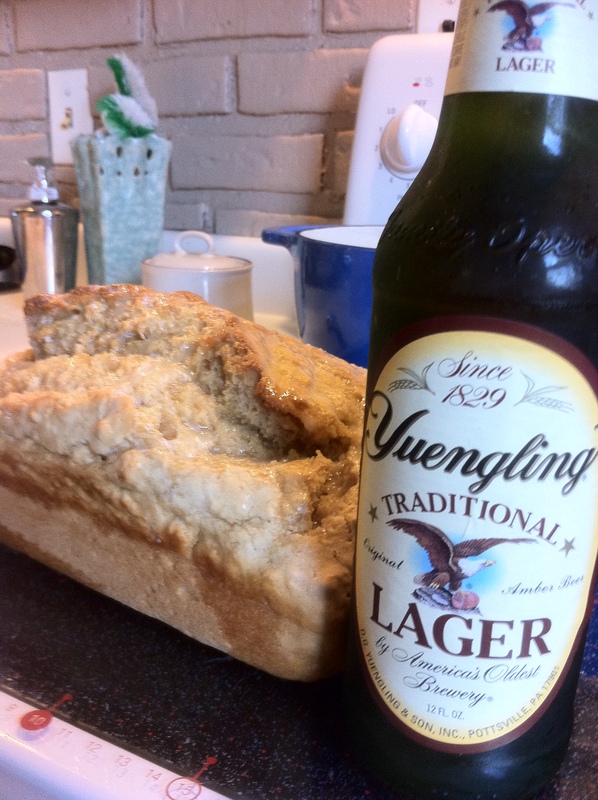 Beer bread was a staple in my house growing up and now it is the first thing I make when I know I have guests coming over that I need to impress on the fly. No chili, stew, or soup would be complete without it and best of all it actually works best with cheap beer. 1. Preheat the oven to 375. 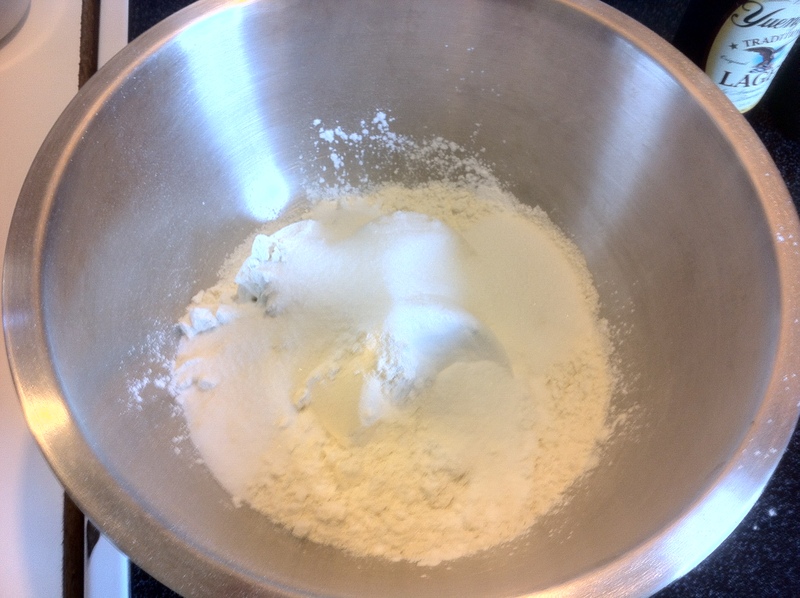 Combine 3 cups self-rising flour with 3 tablespoons sugar. If you don’t have self-rising flour use regular flour and add 4 teaspoons baking soda and 1 teaspoon salt. 2. Add one and half beers. This works out to 18 ounces of beer which is almost but not quite two full cups of beer. The dough should be very moist but not too runny. The amount of beer you need to achieve this can actually vary depending on the brand of flour, but his ratio seems to work for Kroger’s flour. I think this recipe is best with a full-calorie, light-flavored lager, but you can make it with any beer. Light beer works better than something with a lot of flavor. I’ve made it with Guinness in the past and it really doesn’t taste as good. 3. Pour the dough into a greased bread pan and bake at 375 for about 45 minutes. The outside should be golden and a knife should come out clean when you are done. Melt 3 tablespoons of butter and pour it over the crust and you are ready to go. This bread is best fresh and it is very crumbly. Let it cool down for a little while for easiest cutting.